I’ve been longing to buy a watch for quite some time now but wasn’t sure which one to buy. 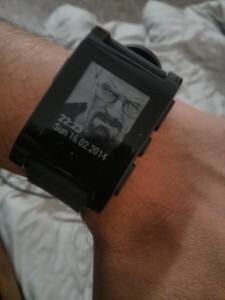 But, when I got to know about Pebble, I kinda knew that this would be it. 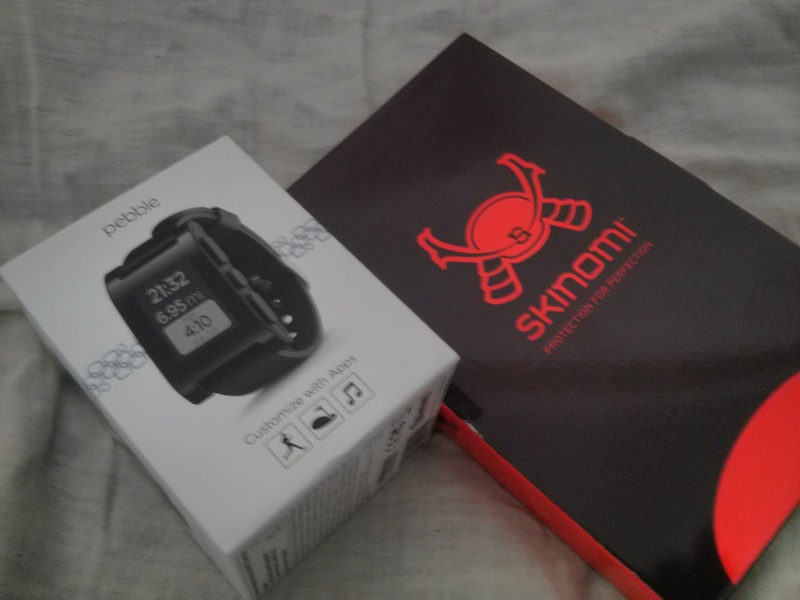 A smart watch which does more than telling time and looks good/different was enough for me to make the purchase, plus I also wanted to experience the wearable tech market first hand and this was the cheapest way in. Thanks to the lovely friend who got it for me from the Amazon US. 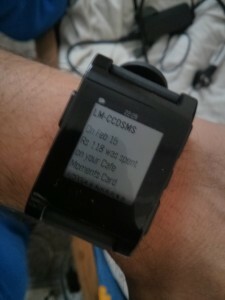 2) Integration – Pebble connects with your phone (Nexus 4 in my case) using Bluetooth. All one needs to do is to install the Pebble app in your phone and detect/connect it with the watch. Do this and you are done. d) Notifications – The core offering of Pebble and few other watches is the Notifications part. The underling thought behind all this being, that the smart watch in it’s current avatar is not a replacement of phone but an extension of it. Some of the use cases being in situations where you can look into your watch before deciding whether you need to take that call or reply to the sms etc. 5) Integration with other apps – This one is very interesting. Pebble for one integrates seamlessly with Runkepper. Unlike earlier, now I don’t need to keep checking my phone to see how much I have run or calories I burned. The phone can stay in pocket while Pebble can tell me all the needed details. I have few more apps which I plan to explore and also I am eagerly awaiting the launch of Pebble’s App Store for Android (They recently launched one for iOS). If you own a Pebble, what has your experience been like? This entry was posted in start-up and tagged apps, appstore, devices, digital, metawatch, pebble, smart watch, watches, wearable tech on February 16, 2014 by mayank.